Having closed the door firmly on an absolute scoundrel of a year (2016, you know I’m referring to you), it’s time to stick my hands in some good honest compost and get ready to delight once again in the restorative magic of watching as new shoots emerge bravely from the darkness and into the light. Yes the world is in an increasingly scary state but the natural simplicity of nurturing in new life provides a welcome balm and a promise of a bountiful harvest of fruit, vegetables and colourful blossom to come. I know I’m speaking mainly to the already converted here but boy do we need gardening more than ever before. So this year I implore you to spread the word, to encourage and reach out to your non green-fingered friends and family to give it a go. Overcome their hesitation (or any prejudices) by showing them how amazing (and indeed cool it is) to grow some of your own produce. Lure them in through their stomachs with home grown produce; the sweetest cherry tomatoes, blackcurrants bursting with flavour or fiery chillies and so much loveliness besides. Give them a taste of how easy some plants are to grow and tips on how to go about it, maybe throw some extra seeds in the ground yourself this year so you have surplus to give out and away. It will make you very popular and all helps whet an interest. Of course you might think; “I’ve got enough to do, why bother? Well, in which case I’d say; “fair enough (and indeed haven’t we all), but don’t you think this is part of the reason the world’s in such a mess?” Maybe it’s time to reach out more to others. Taking even the tiniest small actions can make you feel good, as though at least you’re doing something nice, in a society that is spiralling seemingly out of control. I’m doing it myself this year. Opening up my gardens and inviting others in with gusto. 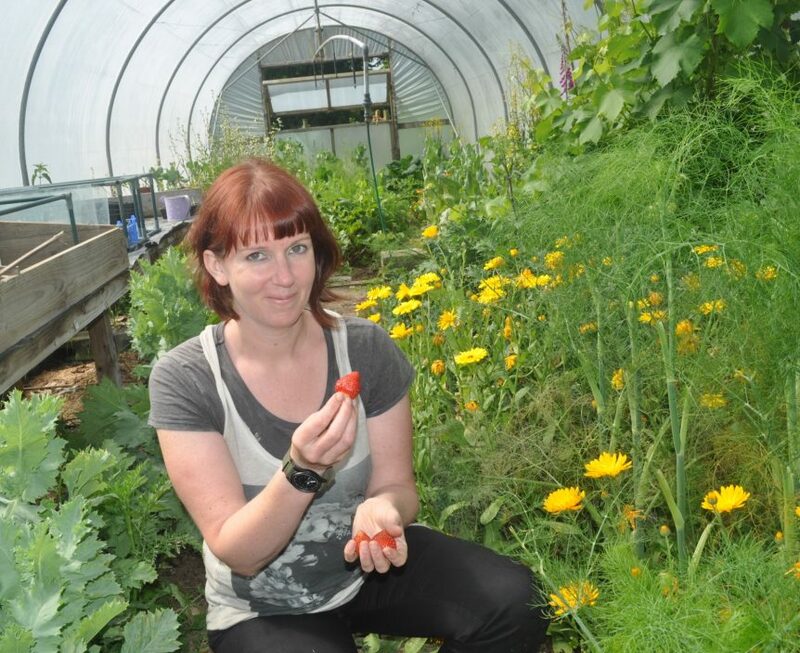 It has to be cherry tomatoes for maximum ‘pop straight in the mouth ability’ and so I asked Alicia and Nathan from Troed y Rhiw organics which they thought were the most delicious. They told me top of the pile has to be Sungold, a super sweet orange cherry which when they offer it out for people to try at farmers markets normally elicits an ‘oh my god’ response followed by an instant purchase. The couple said they also rate Sakura, a widely available and larger red variety (which is apparently a prolific fruiter) and also the delightfully named yellow submarine which is sold via the Seed Co-Operative . You don’t need to have a garden to grow chillies as a plant will happily thrive in a pot on a sunny windowsill. They also make a good gift for the reluctant gardener with an interest in the spicier side of life. It could just garner their interest. 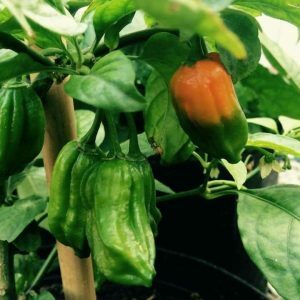 I asked my local chili expert, Shaish Alam who grows a large number of plants for his Indian restaurant, Yasmin’s, what varieties he would recommend. He told me Benagli naga is the plant he grows the most of as its excellent dried or made into a paste as a base for his curries. Also Kacha Morich chilli which he tends to use whole in dishes such as jalfrezi. Both of these are very hard to get hold of in this country and excitingly for me as a seed saving enthusiast, his plants were originally grown from seed passed on from fellow chilli lovers before he started saving it himself. 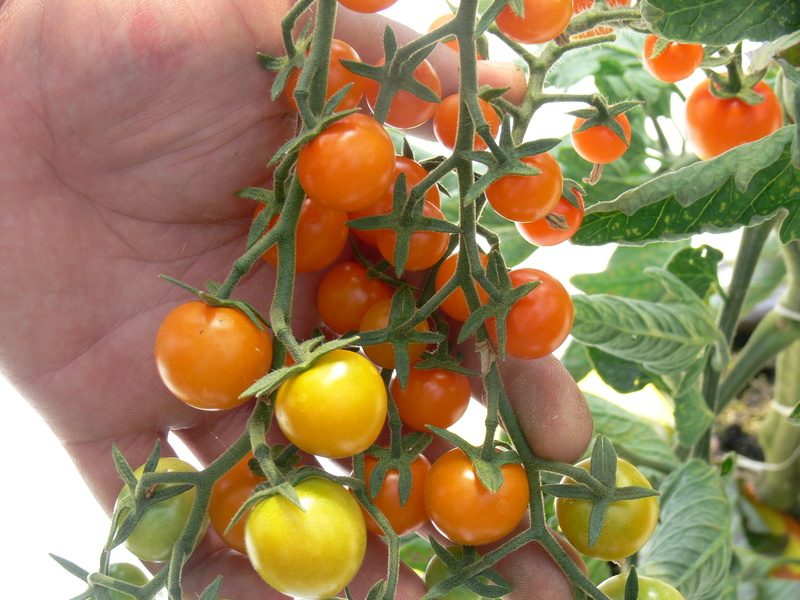 There are many superhot alternatives and websites such as www.chileseeds.co.uk offer an eye watering array. You do win friends with salad, especially when you pick and package an exciting mix of salad leaves with herbs such as parsley, basil, coriander, chive (with flowers), fennel and mint. It’s a flavoursome action-packed offering that really brings home the benefits of growing your own. Once people try it they are often keen to find out more. 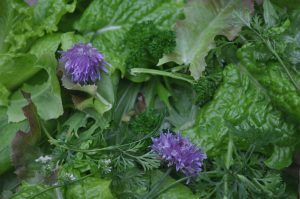 It just so happens that salad leaves are among the easiest plants to grow (on a windowsill, in a pot or in the ground) and therefore make a good choice for beginners to also try out at home. 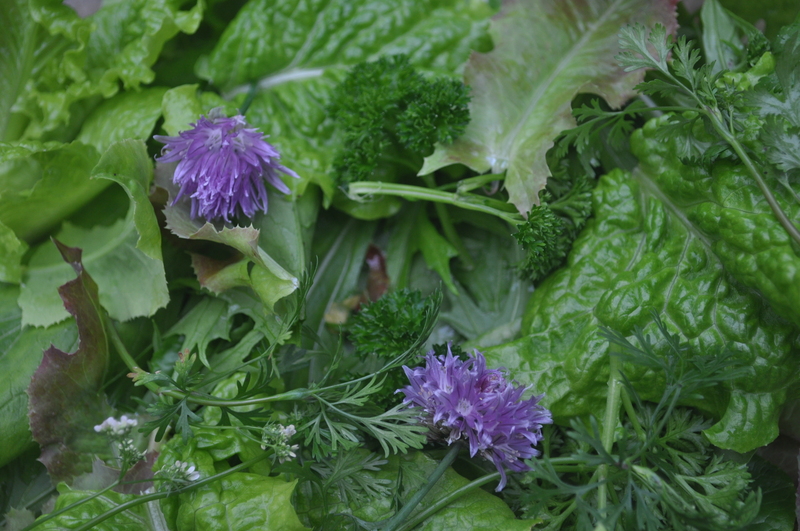 There are many good pick-and-come-again varieties for this purpose to which I also like to add rocket, beetroot leaves, red kale, spinach, winter cress, turnip tops, pea leaves, garlic mustard, sorrel and minzuna amongst others. A reliable ‘cheats’ option for more sensitive herb plants that are harder to grow from seed involves rescuing supermarket herb plants from their confined quarters, dividing into several plants and potting out into fresh compost. It’s also a good way to get several plants for the price of one. Why not take cuttings from any existing soft fruit bushes now for plants to pass on later in the year. Blackcurrants are arguably the easiest with which to work, followed a close second by gooseberries. Work with the healthiest-looking stems and simply snip off a cutting about the length of your hand. It’s best to also remove any side shoots before planting out into pots or a bare patch of ground. You can use rooting powder if you like but I’ve personally found there’s no need with these. 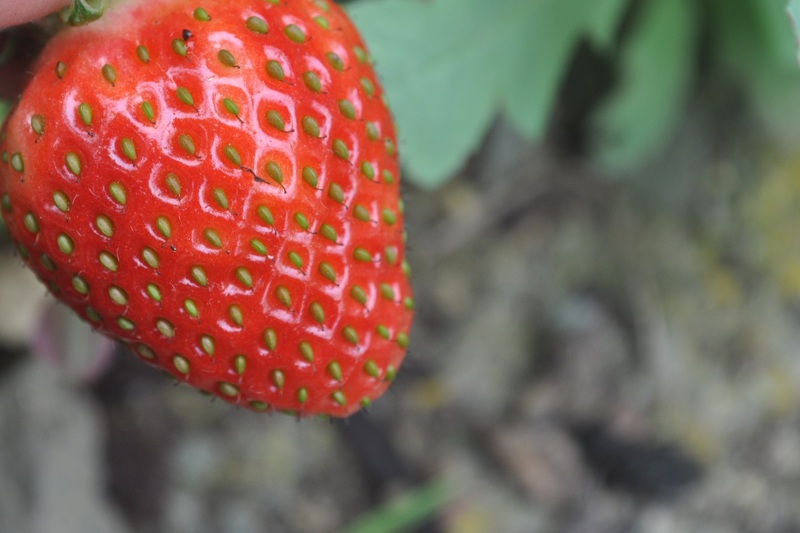 Anyone with summer fruiting varieties of strawberry plants will have a mass of baby runners which can easily be placed (still attached to the parent plant) into a pot for another popular giveaway in a few months.